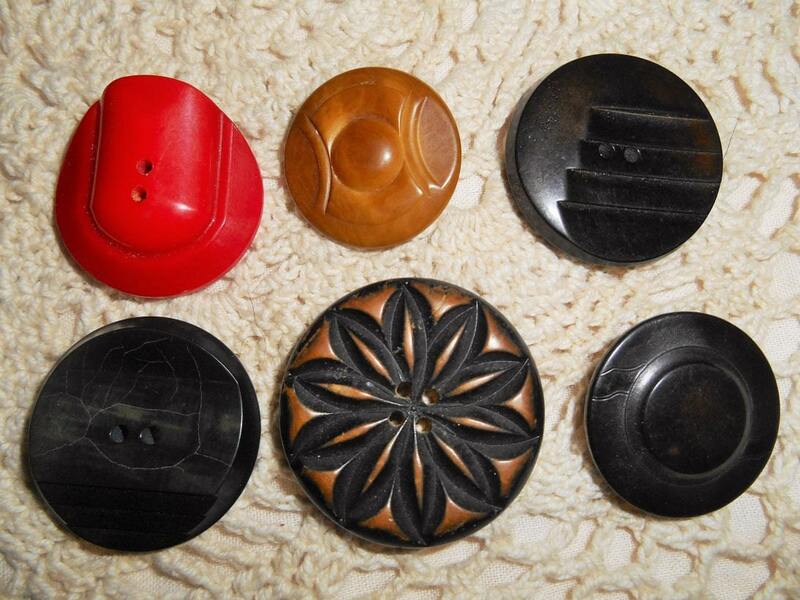 Large Art Deco Buttons. 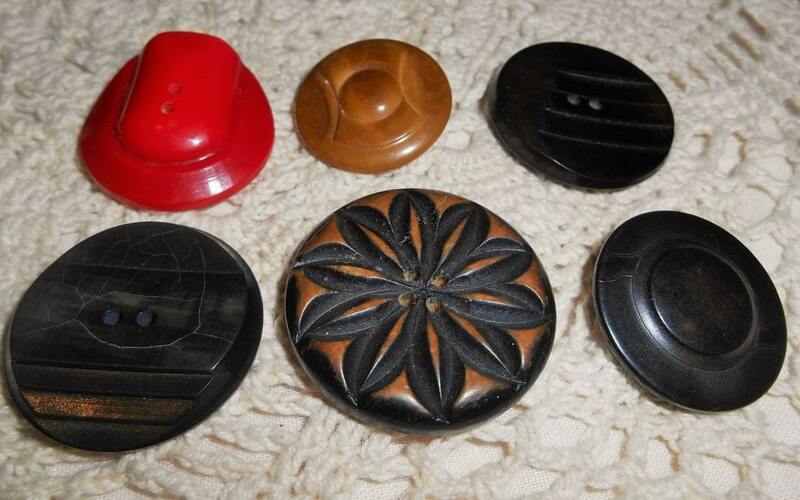 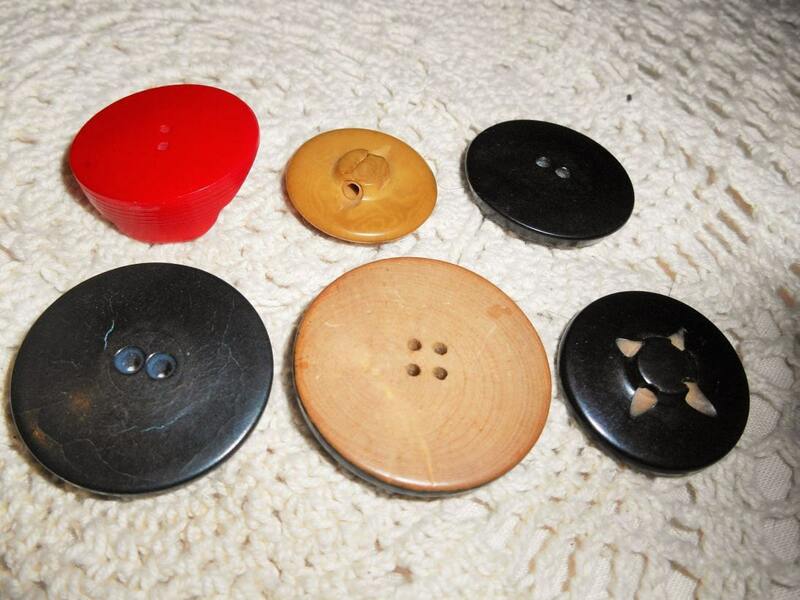 6 French Wood and Bakelite buttons. 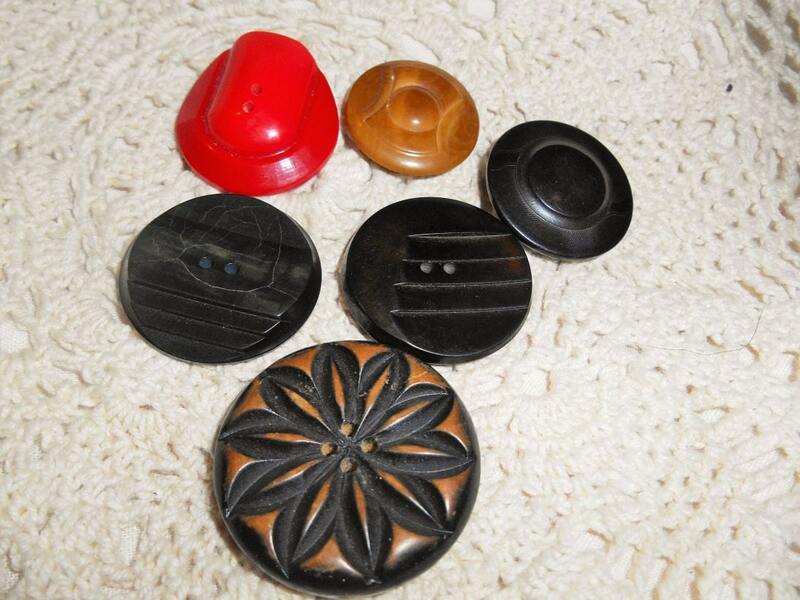 1930 handmade hand carved buttons. 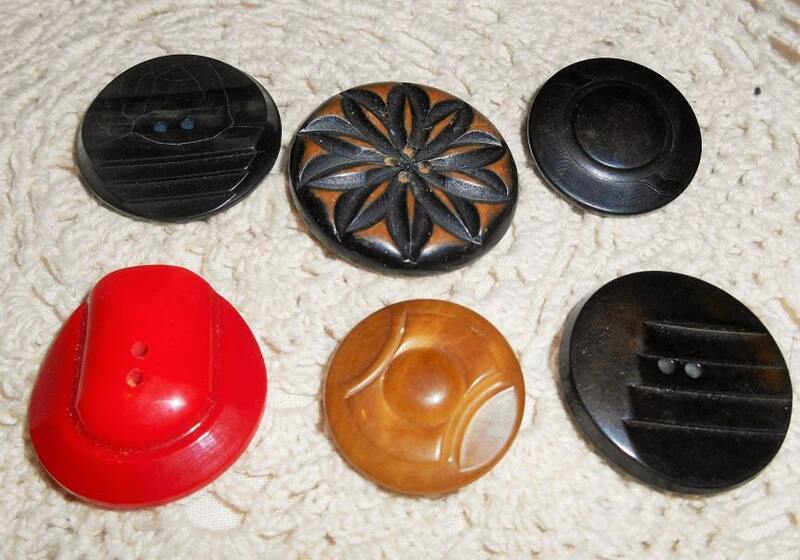 Beautiful set of miscellaneous authentic Art Deco buttons!